Sun-drenched and palm-fringed, the island of St. Martin/St. 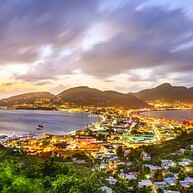 Maarten is one of the most beautiful in the eastern Caribbean. It also has a dual personality: the north of the island is a little outpost of France, and the south side oozes the warmth of the Dutch. 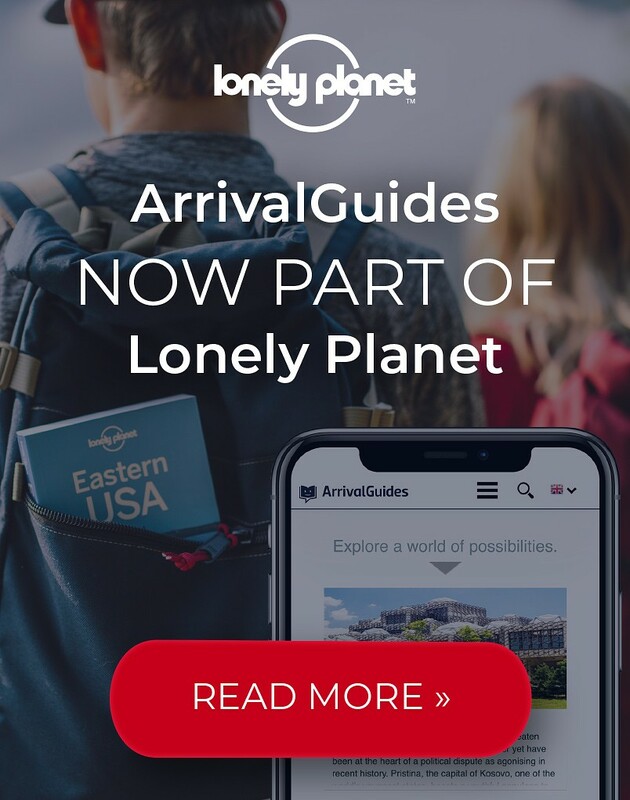 The border between them is basically non-existent, and visitors are free to enjoy everything from water sports and cultural festivals to shopping. Population: 36,000 - French St. Martin. 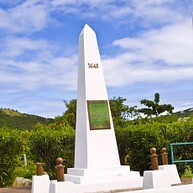 41,000 - Dutch St. Maarten. Opening hours: Shops are generally open 8:30 - 17:00 with a lunch break of around two hours. Banks are generally open on the French side from Monday to Friday 8:30 - 13:30, and on the Dutch side from Monday to Friday 8:30 - 15:30. Some banks are open on Saturday 8:30 - 12:00. 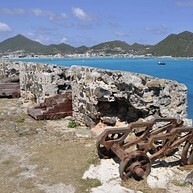 St. Martin has a rich and interesting history, which can be seen today in its unique cultural heritage. Visit St. Maarten Museum and some of the many historical sites to learn more about the island's history and its impact on modern life. 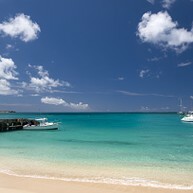 However, do not forget to take some time to relax while you enjoy the unspoiled beauty of the island's many beaches. Fort St. Louis is the largest historical monument in St. Martin and is named after King Louis XVI of France, who built a settlement to protect Marigot during his reign. Swim with turtles, lionfish, lizardfish and other colorful sea creatures. 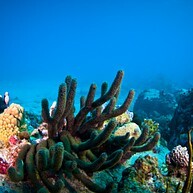 You will be provided with top notch diving equipment; professional underwater cameras can be rented in order to capture this unique experience. 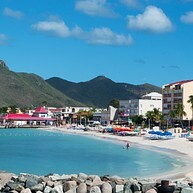 The capital of St. Maarten is the central point for shopping and the local cultural scene. Tucked in the southeastern part of the island between Great Bay and Great Salt Pond, the city has been a major commercial hub for the island since the 17th century. The capital of Saint Martin has rows of patisseries and smart bistros that sit side by side with luxury fashion houses and colonial architecture. Take a stroll on Rue de la République with its 19th-century traditional facades and visit one of the many historical buildings like Marigot Church, the Old Prison or Durat Bridge. Quartier-d'Orleans is a little piece of 17th-century France. Also known as the French Quarter, this fishing village is located on the east coast and is believed to be the first French settlement on the island. 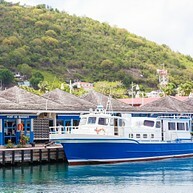 This thrilling boat tour will take you to some great spots around St. Maarten and the knowledgeable staff will tell you some interesting stories about the island. Snorkeling in the clear blue sea and lunch at a beachside restaurant will wrap up a perfect day. Loterie Farm is a private nature reserve and the perfect spot for an ecological adventure and a gourmet experience. Dine and drink some wine or participate in one of the numerous outdoor activities like climbing, hiking or gliding over the treetop canopy. 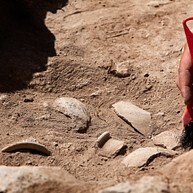 At this site, archaeologists have excavated artifacts including pottery and ruins of the ancient Arawak village. Delve into the history of this ancient village built around 500 BC and learn about the culture of the people that lived here. Grand-Case has gained the status of St. Martin's gourmet capital. A number of world-class restaurants are located in traditional huts and the village is home to the last remaining wattle houses. In January, a Caribbean jazz festival with bands and orchestras takes place. Back in 1648 the French and Dutch signed a contract dividing the island into two parts. Since then, the two sides have lived in peace and harmony. Apart from the language, the only indicator of the border is a border obelisk marking 300 years of peaceful coexistence by the two nations. A true oasis of fauna and flora, the triangle-shaped Reserve covers over 3000 hectares of sea and land including the islands off the east coast: Pinel Island, Petite Clef, Green Cay and Tintamarre. With its rocky coasts, cliffs and beaches, the reserve is home to a host of different species like seabirds, iguanas, sea turtles, and dolphins. 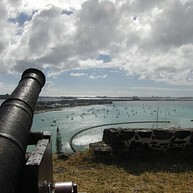 Located between Great Bay and Little Bay in the southern part of the island, Fort Amsterdam dates back nearly four centuries. It was constructed by Dutch settlers who claimed the island in 1631 and utilized shortly thereafter in battle with Spanish occupiers. At Seaside Nature Park, there is something for everyone to enjoy whether you love the water or you're more of a landlubber. 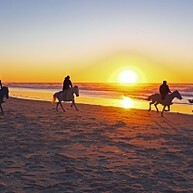 Some of their more popular activities include guided horseback riding tours across the beach, snorkeling in the waters of Cay Bay and hiking tours through the park. The exhibits at St. Maarten Museum provide insight into the cultural heritage and the natural history of the island. Learn about the people who helped shape St. Maarten into the place it is today and about its industry, geography, plants, and wildlife. 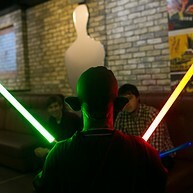 Film buffs will really get a kick out visiting the Yoda Guy Movie Exhibit, which houses a number of pieces of movie memorabilia. Some pieces are works created or co-created by the artist and owner Nick Maley, who has worked on films like Star Wars, Superman and Highlander.